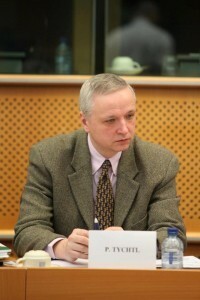 Pavel Tychtl is a policy officer at the European Commission’s Directorate General for Communication, where he manages the Remembrance Action of the Europe for Citizens programme and has been responsible for the remembrance activities organised by the Commission since 2005. Previously, Mr Tychtl was a director of the European Council on Refugees and Exiles (ECRE) and worked with the Czech Academy of Sciences. He also has experience in the voluntary sector, where he worked as a director of the Czech Organisation for Aid to Refugees. Mr Tychtl is a sociology and social history graduate of Prague’s Charles University New York’s New School for Social Research.